Identity theft—it’s not going to happen to you, right? Unfortunately, identity theft is on the rise, and a growing number of people are discovering just how seriously it can affect your finances, especially your credit rating. Reporting and repairing the damage seems daunting, but we’re here to guide you through the process. As soon as you notice any signs that you might be a victim of identity theft, start saving all documents and keeping records of any phone calls, emails, or other notifications that pertain to the situation. You’ll need that information, so write everything down and print things out, even if you’re not sure what the problem is yet. Contact one of the major credit bureaus online (Experian, Equifax, or TransUnion) to place an initial fraud alert on your credit report. This is an easy first step to stem the tide of fraudulent activity. Each credit agency automatically communicates that fraud alert to the other two agencies for you, and it lasts for 90 days. The fraud alert notifies lenders or creditors that they need to verify your identity before issuing you credit. It also entitles you to a free credit report from all three agencies. Check the reports—including the personal information—for inaccurate information or fraudulent activity and start gathering all the details and documentation you need. While the entire process will take some time, you should immediately call the affected companies and shut down as many compromised cards and accounts as you can. Most banks and credit card companies won’t hold you responsible for fraudulent activity if you report it quickly. If someone opened accounts or lines of credit in your name, close them immediately. You’ll still need to dispute the charges on the accounts, but in the meantime, prevent anyone from continuing to use your information. Your next step is compiling an identity theft report that you can use with businesses, banks, creditors, and the credit reporting agencies to clear your name of fraudulent activity and get inaccurate information off of your credit report and accounts. First, contact the Federal Trade Commision (FTC). 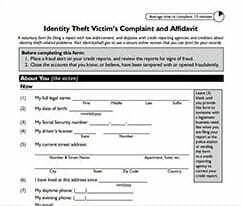 Visit identitytheft.gov to report the identity theft and submit an identity theft affidavit, or you can contact the FTC via phone (1-877-438-4338) and fill out and file an identity theft report and affidavit separately. Either way, print out a copy (or several) of the affidavit for your records. Although the FTC doesn’t generally investigate personal cases of identity theft, it’s an official report that holds weight with the credit companies. Second, go to your local police and file a police report. Bring your FTC affidavit, proof of identity, and all the documentation related to the thefts. Provide the police with as much information as possible and make sure you get all the fraudulent accounts and activity on record. If you run into questions, the FTC has a memo to law enforcement agencies to explain the importance of the police report and how it will be used. Get a copy of the official police report once it’s filed, or if for any reason you cannot have a copy of your police report, get the report number and have the police sign your affidavit. Write down all the information about your visit, including the name and phone number of your police investigator, for future reference. Once you have your identity theft report in hand, it’s time to start disputing fraudulent claims and correcting the errors on your credit report. 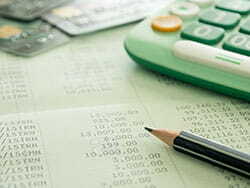 Send letters of dispute to each of the three credit reporting agencies. Although the agencies will eventually share information, you’ll get faster results and stay in control of the situation by approaching all three yourself. Once a credit bureau receives your letter of dispute, it is required to investigate and respond to your claims within 30 days. Send your letter via certified mail with a return receipt request and keep copies of everything you send. Note that while you can dispute things online, the FTC recommends doing so in writing as it sends the message that you take the fraudulent activity seriously. If it is clear that the errors on your credit report were a result of identity theft, you can request in your letter that the credit reporting agencies block the disputed information from your credit report. With that information blocked, your credit report should be an accurate reflection of your credit history so you can continue to use your credit information actively. 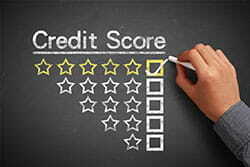 The next step is to contact all of the creditors or companies that provided information for the credit report (like the department stores that reported a new store card in your name, the lending company that reported a line of credit, or the credit card company with a card you didn’t open) and let them know you are disputing items in your credit report. The FTC recommends sending this sample letter, along with your documentation and identity theft report. The credit bureaus will contact the companies as well, so it isn’t absolutely necessary to do this yourself; however, sending them your information is the best way to move the process along and ensure that they are aware of the situation. If you don’t want or need to use your credit for new applications, you can place a security freeze on your account at this point. A freeze prevents anyone from accessing your credit information, but you will need to lift the freeze if you want to open any new credit application. If that isn’t what you want to do, you can instead place an extended fraud alert on your account, which lasts for seven years and works the same way as an initial fraud alert. Note that the identity theft report is required before you can place an extended alert. Once you’ve sent out your letters and reports, you need to follow up with every agency, company, and lender that you’ve contacted to make sure they received your disputes and removed the incorrect information from your credit report. This process is going to take time, so check in every 30 days and keep track of when you send things out, make calls, or receive emails. Following up demonstrates your commitment to clearing your name of all fraudulent charges, and it also ensures no new misinformation appears on your account. If you dispute an error that isn’t corrected, even after multiple attempts, you can submit a complaint with the Consumer Financial Protection Bureau (CFPB), which will open an investigation into the issue. You can also contact the National Association of Consumer Advocates (NACA) to find and request representation in taking legal action to clear up your information. The last thing to do in this process is to take steps to prevent identity theft from happening again. Change your passwords and pay attention to your credit report monitoring service. Be smart about how you dispose of documents with your information on them. 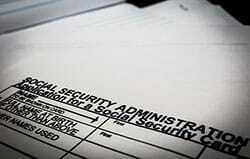 Depending on what type of identity theft you’ve been a victim of, contact additional agencies, such as the Social Security Administration. You can request a new driver’s license from the DMV if that has been compromised, and if you have any tax-related identity theft, contact the IRS and file an affidavit with them. Each of these scenarios should be a red flag that something is not right and you need to take action right away (again). Don’t dismiss these signs as simple mistakes, but take additional action quickly to save you the headache later. If you don’t already use a credit report monitoring service, now is the time to sign up for one. These companies will keep an eye on your credit activity and personal information and notify you if there’s any suspicious activity. Continuing to monitor your credit is vital so that you can make sure no new fraudulent activity comes up once you’ve started cleaning up your report. A credit monitoring service is an excellent way to detect fraud as soon as it happens and keep tabs on your credit report and score. Take a look at our summary of three credit monitoring companies and for a complete review of the top credit monitoring services, check out our Best Credit Report Monitoring article. If you decide not to sign up with a credit report monitoring service, you can get one free credit report every year from each of the three credit reporting bureaus. You can get them all at once, but if you want to monitor your credit activity more closely, request one report every four months. Whether you find a single incorrect entry on your credit report or you discover a host of inaccuracies resulting from identity theft, we want to assure you that you can take back control of your credit report. Don’t get discouraged by the task, but keep focused on the benefits of clearing your name. Being proactive in repairing the damage will prevent this experience from following your credit score and unfairly affecting your financial standing for years to come. 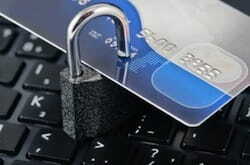 Have you had to repair your credit after identity theft? What tips can you share from your experiences?